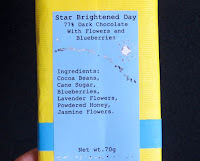 Welcome to Day #7 of Chocolate and Flowers Theme Week. 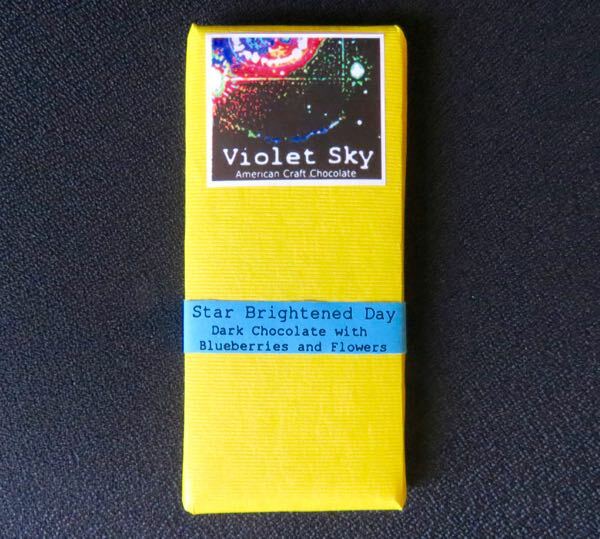 Today's Star Brightened Day 77% Dark Chocolate with Blueberries and Flowers bar was the creation of Violet Sky, an American Craft Chocolate maker based in South Bend, IN. Most of the chocolates featured in this chocolate and flower-themed week contain some combination of blueberries and lavender. I'm not sure where this trend started, but it's certainly popular this year. 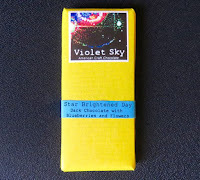 I prefer just lavender and chocolate, as the blueberry flavoring varies in different bars, and seems to mute the lavender and the chocolate. 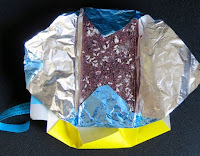 However, today's flavorful bar* at least contained more authentic blueberry flavor than most (with a hint of natural berry tartness/acidity). 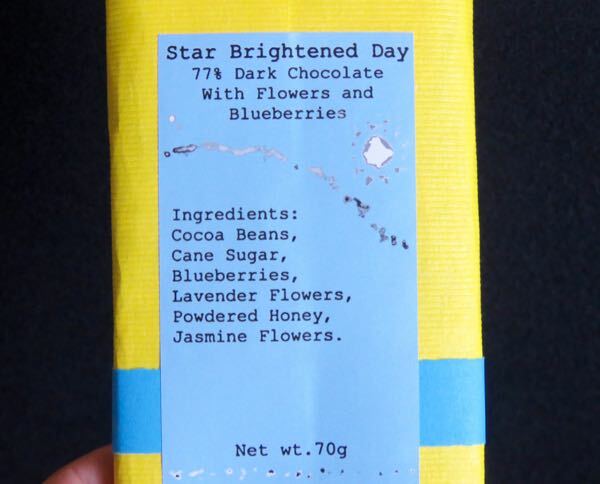 Jasmine flowers and powdered honey amped up the floral profile a bit—a fun blend if you like floral flavors.